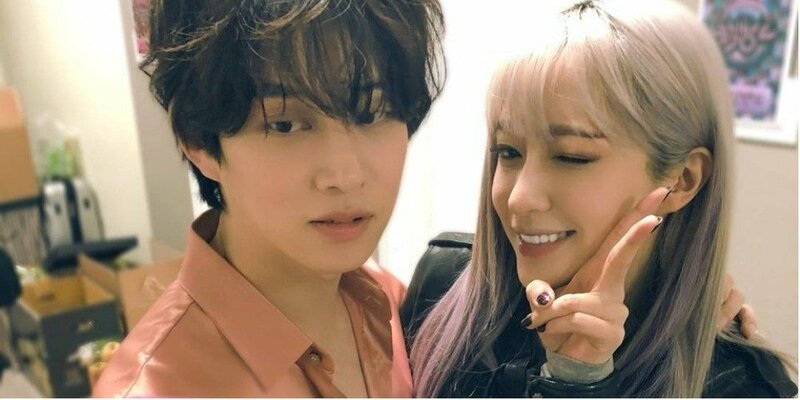 EXID's Hani expressed her appreciation and affection toward Super Junior's Heechul. On April 19, actors Kim Hee Won, Jang Hyuk Jin, EXID's Hani, and Hyerin guested on tvN's 'Life Bar'. On the program, MC Jang Do Yeon pointed out Heechul and Hani's close friendship and mentioned, "Hani saved Heechul as 'Daddy Long Legs' on her phone." Hani replied to this with, "He is my Daddy Long Legs." 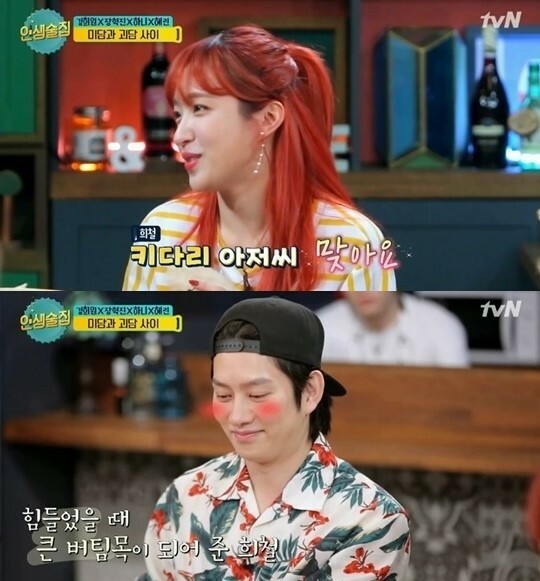 Heechul reacted shyly, and Hani continued, "He's a very grateful person to me. He didn't directly hand me money or anything but he was often there for me through my hard times." MC Kim Joon Hyun said, "I heard you guys watch movies and go out to eat too." Shin Dong Yup teasingly said to Heechul, "You are revealing many of your female friends to prevent dating news, aren't you?" Hani joined the teasing and said to Heechul, "You used me didn't you?" Do you have a friend you can always rely on?